Neos launched in 2016 and aims to improve home insurance with the help of technology. Along with standard insurance features such as buildings and contents cover, it offers a package of connected or internet of things devices that are used to keep the policyholder's home safe and alert them via an app if something goes wrong. The devices include a camera, smoke detectors and leak sensors. Bought By Many believes Neos is innovating insurance and has the potential to offer customers greater peace of mind. That's why we've negotiated two exclusive deals. You can get a an Amazon voucher of up to £85 if you buy Neos's buildings or contents cover. Or if you're a cyclist you can get free Tile tracking devices. Are there any exclusions with Neos home insurance? How much does Neos home insurance cost? Neos has three cover levels, each with more devices and higher cover than one before. The top level, Best, has 11 devices including a camera, smoke sensors, leak detectors, door sensors and motion detectors. Best has unlimited contents cover, unlimited buildings cover, home emergency cover as standard and a £50,000 valuables limit. The Better policy offer 8 devices, £1m of buildings cover, up to £100,000 of contents cover and home emergency cover as standard. The Good policy includes an HD security camera, up to £750,000 of buildings cover and up to £75,000 of contents cover. All policies have a £200 excess and are underwritten by Great Lakes Insurance SE. If you're looking for more traditional cover, check out our guide to the best home insurance companies. 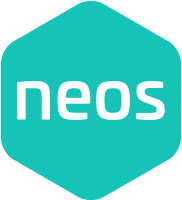 As with all insurance, there are exclusions and there are differences between Neos's policies. For example, home emergency cover is included in its Better and Best policies but is an optional extra for Good. Home emergency can be a useful feature. It acts as a call-out service if there is an incident such as your electricity or boiler failing. Neos will cover up to £1,000 for a call-out and repairs. It's worth reading the limitations in the policy documents, which explain rules such as having an annual boiler service so that home emergency cover is valid. A home emergency call-out has no excess and does not count as a claim. Neos does cover bicycles worth up to £1,000 as standard so it may be a good option for cyclists. And there's an add-on for bikes up to £25,000 to be covered away from the home. Bought By Many members can get a free Tile tracking device, which can be used to find your bike if it is stolen if you buy buildings and contents insurance from Neos. All of Neos's policies cover items in your garden with the limit rising to £5,000 for the Best policy. The Good policy does not cover escape of water "due to lack of or failure of grout or sealant". All policies cover the cost of tracing and accessing the source of leaks. As with most home insurance policies, wear and tear, and damage caused by pets are not covered. Neos asks if you live with a lodger during the quote process and it doesn't seem to have any specific exclusions relating to lodgers. However, if you have a lodger and claim for theft when there is no sign of a break in it is likely to be rejected. And your contents insurance will not cover a lodger's possessions. Neos's premiums may be more expensive than other home insurance companies' because of the tech package that comes with its cover. However, the added tech may offer good value to customers. Neos says the Good policy device is worth £140, the Better devices are worth £471 and the Best package comes in at £610. We got a quote in February 2018 for buildings and contents cover for a 1 bedroom flat in London and prices ranged from £178.60 to £573.65 a year. That means Good cover is £15.66 a month, which is comparable to some other home insurers that don't offer connected tech. And if you cancel your policy you will have to return the devices. It offers a returns service if you want to cancel in the first 14 days and there is a charge if you do not return the tech. Bought By Many members can get a £45, £65 or £85 Amazon e-voucher if they buy Neos's buildings or contents cover. And cyclists can get free Tile tracking devices. Find out more about the cost of home insurance. Neos is a new home insurer so there aren't many reviews online. At the time of writing, it had 19 reviews on Trustpilot and a score of 8.7 out of 10. Neos's Better and Best policies have been awarded 5 stars by independent financial review service Defaqto and its Good cover has 4 stars. To make a claim you'll need to call Neos's 24/7 phone number 0203 210 3000 and select the option "to make a claim". "Your 20% that you get back is what sold this to me ....well done more co should follow your example"
Get a an Amazon voucher worth up to £85 if you buy Neos's buildings or contents cover. Or if you're a cyclist you can get free Tile tracking devices. If you have a listed building, you need specialist home insurance. Read this article to learn more.